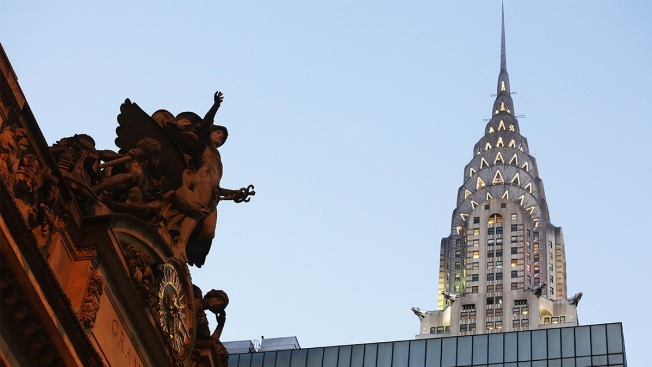 The owners of New York City's Chrysler Building are putting the landmark Art Deco skyscraper on the market. The building's owners, the Abu Dhabi Investment Council and New York developer Tishman Speyer, have hired commercial real estate firm CBRE Group Inc. to market the landmark office tower, CBRE director of global communications Aaron Richardson confirmed Wednesday. The 77-story skyscraper was built between 1928 and 1930 and was the world's tallest building until the Empire State Building claimed the title in 1931. Originally the headquarters of the Chrysler Corp., the midtown Manhattan tower with its distinctive tiered crown has long been a favorite with architecture critics and the broader public. It has been featured in numerous films including "Independence Day" and "Spider-Man." But the nearly 90-year-old Chrysler Building is competing for tenants with new skyscrapers that boast large floor plates and modern amenities like sweeping outdoor terraces. The Abu Dhabi Investment Council paid $800 million for a 90 percent stake in the Chrysler Building in 2008, shortly before the financial crisis sent real estate prices plunging. The Wall Street Journal, which first reported the planned sale of the building, said estimates for the property's current value vary widely.